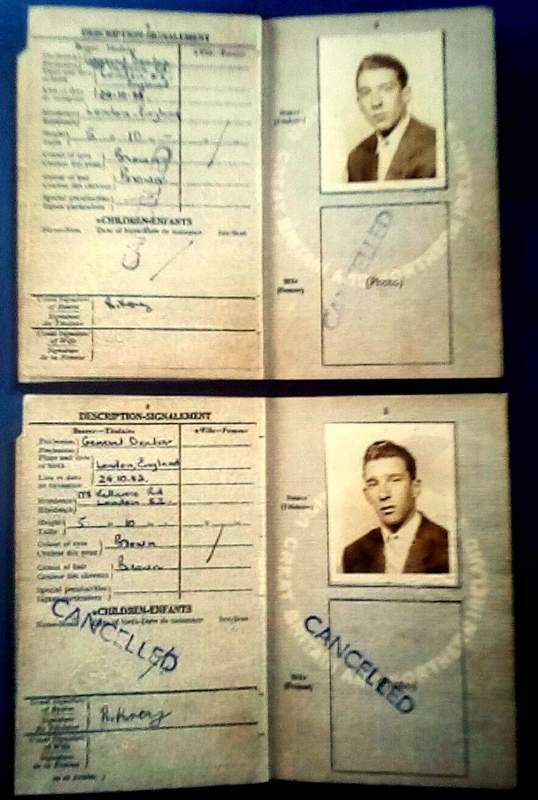 Passports of the infamous British Kray twin brothers. Twin brothers Ronald “Ronnie” Kray (24 October 1933 – 17 March 1995) and Reginald “Reggie” Kray (24 October 1933 – 1 October 2000) were English gangsters who were the foremost perpetrators of organised crime in the East End of London during the 1950s and 1960s. With their gang, the Firm, the Krays were involved in armed robberies, arson, protection rackets, assaults and the murders of Jack “the Hat” McVitie and George Cornell. They were arrested on 8 May 1968 and convicted in 1969, by the efforts of detectives led by Detective Superintendent Leonard “Nipper” Read. Both were sentenced to life imprisonment. Ronnie remained in Broadmoor Hospital until his death on 17 March 1995; Reggie was released from prison on compassionate grounds in August 2000, eight and a half weeks before his death from cancer.